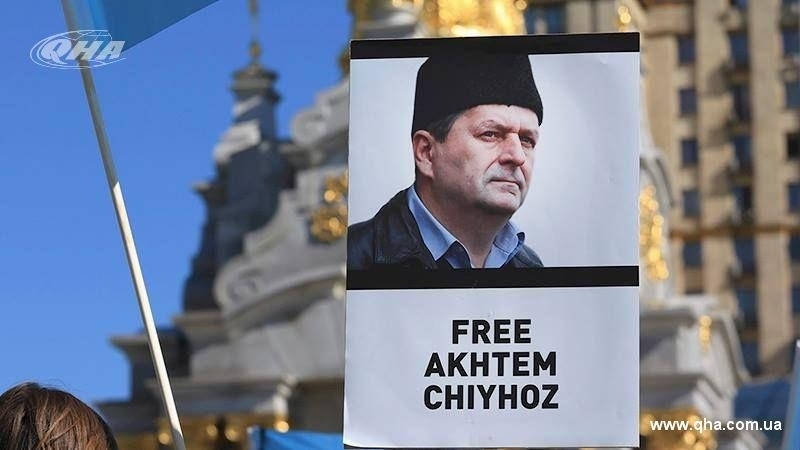 The duty officer in the Simferopol remand prison refused to accept a request from Chiyhoz’s wife concerning the possibility of Akhtem Chiyhoz’s participating in the funeral. Akhtem Chiyhoz's wife Elmira Ablyalimova attempted to submit an application to the Simferopol remand prison on allowing Akhtem Chiyhoz to participate in the funeral of his mother Alie Chiyhoz, the lawyer Nikolai Polozov reported on Facebook. “The duty officer refused to accept the applacation because it was Sunday and the office was closed and the chief warden was absent”, he wrote. Akhtem Chiyhoz has been detained for more than two years in the Simferopol remand prison on fabricated charge in “26 February case”. He was detained in January 2015 in the Crimea, on accusations of organizing and participating in mass riots on February 26, 2014. Then, outside the building of the Supreme Council of Crimea, a rally was held in support of the territorial integrity of Ukraine. Occupation authorities charge Chiyhoz in organizing of mass riots. 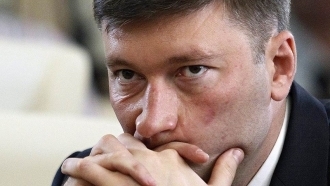 The court considers his case within the “26 February case”. Several months ago doctors revealed that Akhtem Chiyhoz's mother Alie Abduraimovna Chiyhoz had a serious illness in the stage that could not be cared. Chiyhoz’s defense informed that due to the rapid progression of the disease, time in this situation "counted in days" and applied to the court to allow the political prisoner to say goodbye to his mother. This appeal was rejected. Lawyer Nikolai Polozov requested to immediately stop the inhuman, degrading treatment of human rights in relation to Akhtem Chiyhoz. And sought to achieve the opportunity for him to say goodbye to the closest person with wide publicity. The Ministry of Foreign Affairs of Ukraine demanded from the Russian occupation authorities in the Crimea to allow the Deputy Head of the Mejlis of the Crimean Tatar people Akhtem Chiyhoz, who has been kept prisoner by the Crimean invaders for a second year in a pretrial detention center on a fabricated charge, to see his critically ill mother. Due to international pressure and efforts made by human rights organizations, the occupation authorities was forced to manage a meeting of Akhtem Chiyhoz with his dying mother after some refusals and bickering. Janazah (funerals) was on July 2 in the village of Dolynne (Topchikoy) in the Bakhchysarai district.